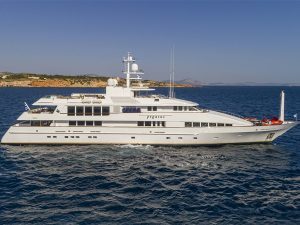 PEGASUS is a 52.25m (171.6’ft) luxury motor yacht, built by Feadship in 1995. PEGASUS superyacht has an elegant interiors, throuthought. 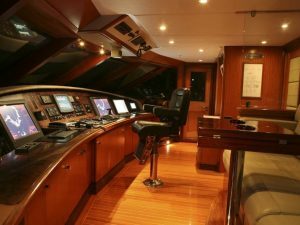 For her exterior desing and engineering, responsible is Fritz De Vooght, and her luxurious interior designed is Winch Designed. She was extensively refitted in 2009. 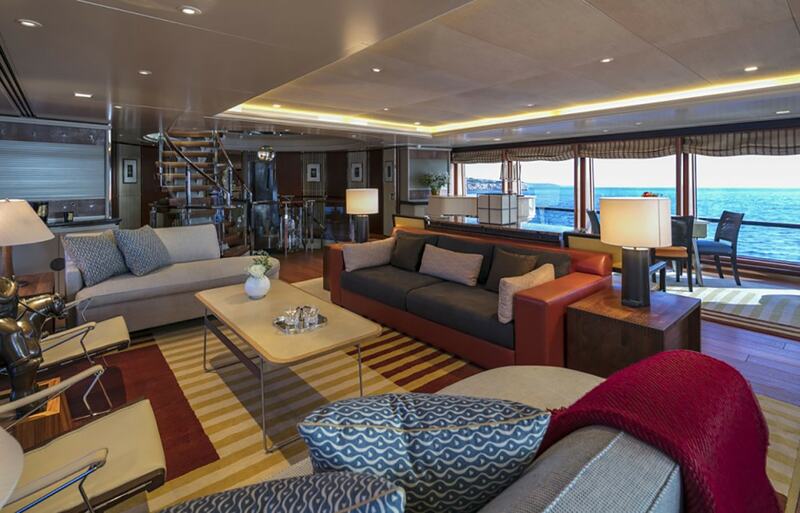 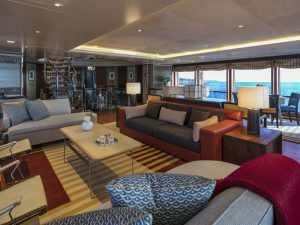 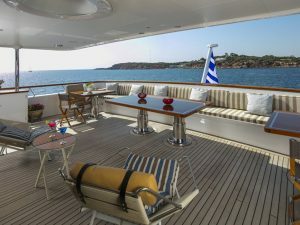 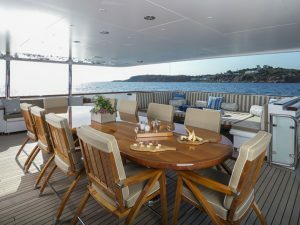 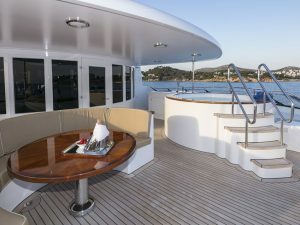 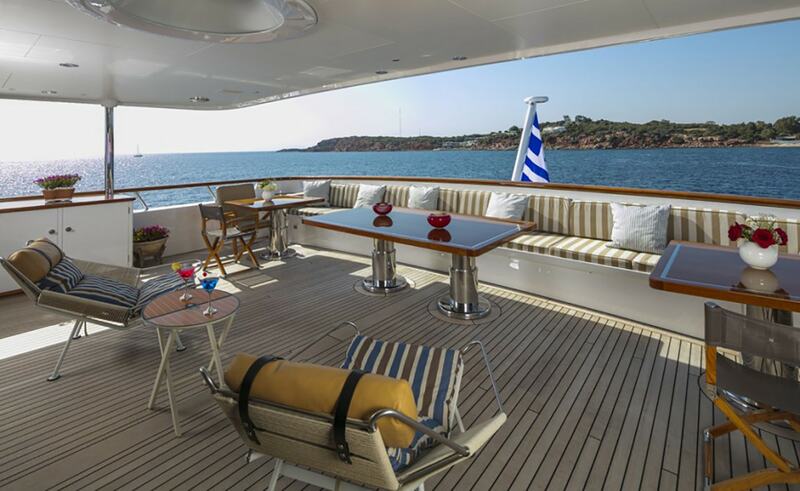 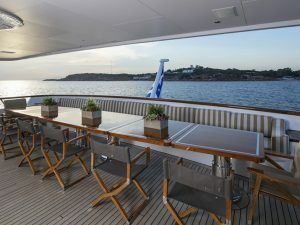 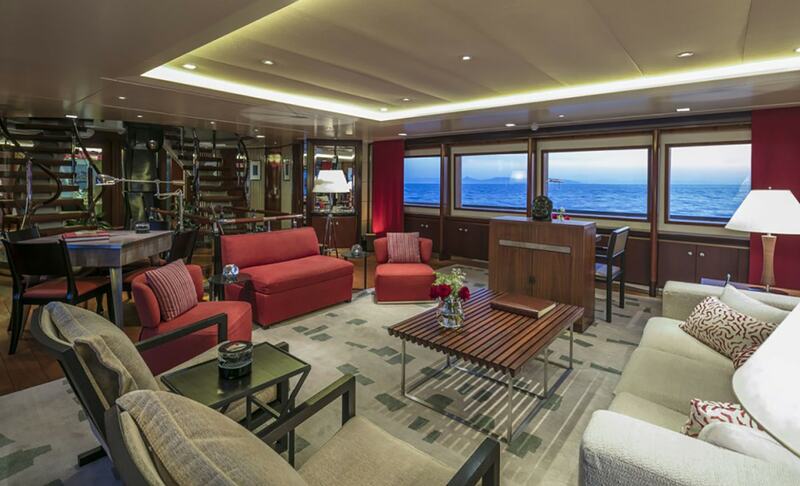 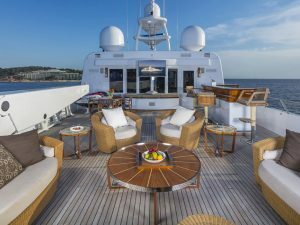 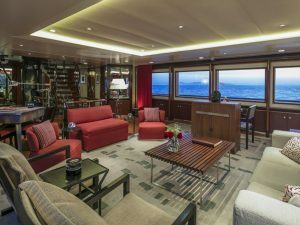 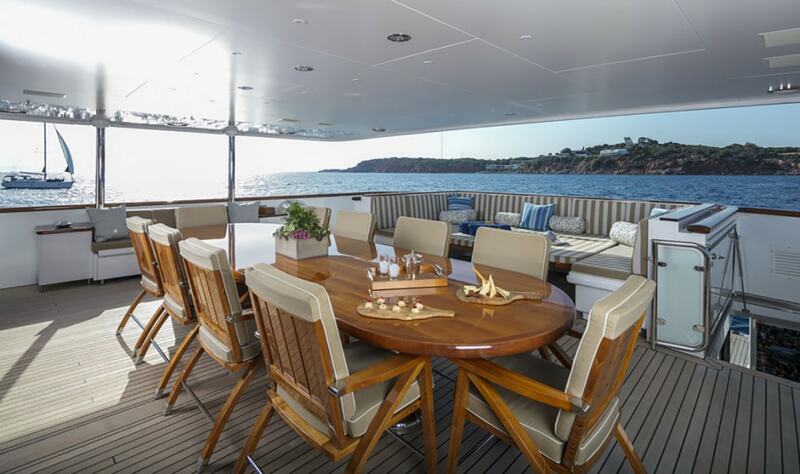 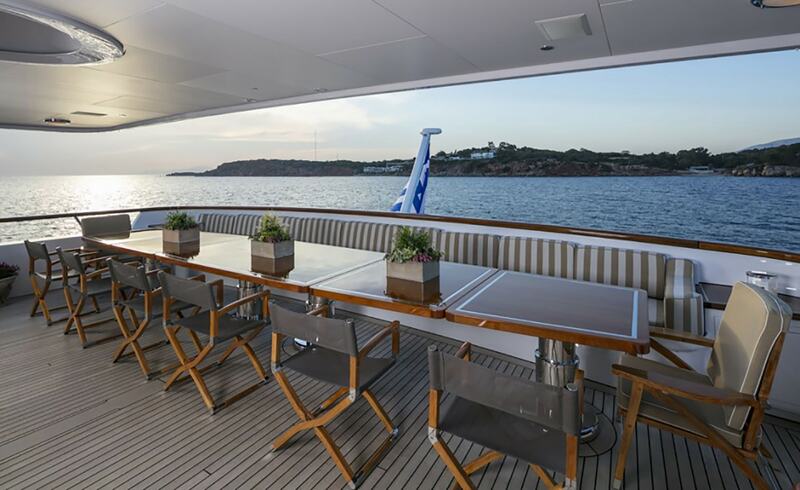 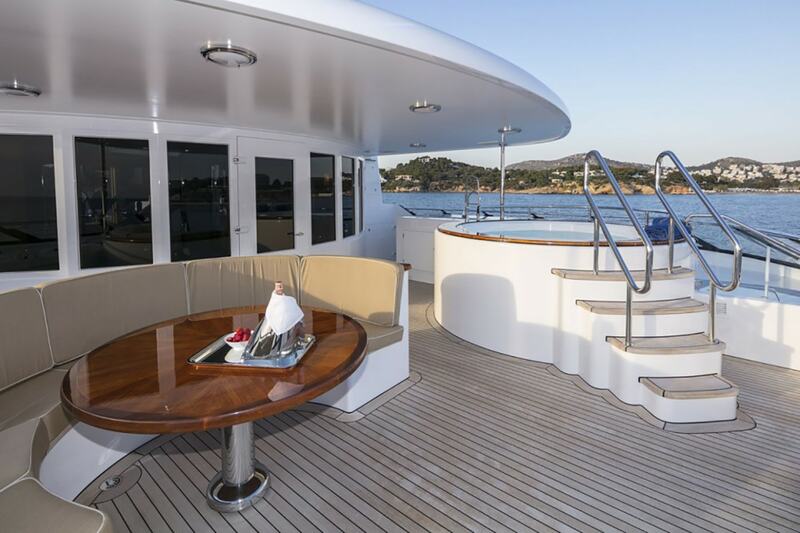 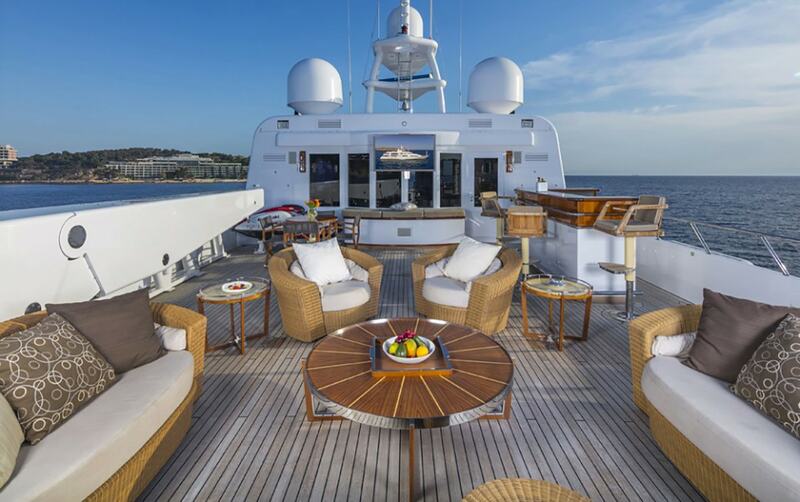 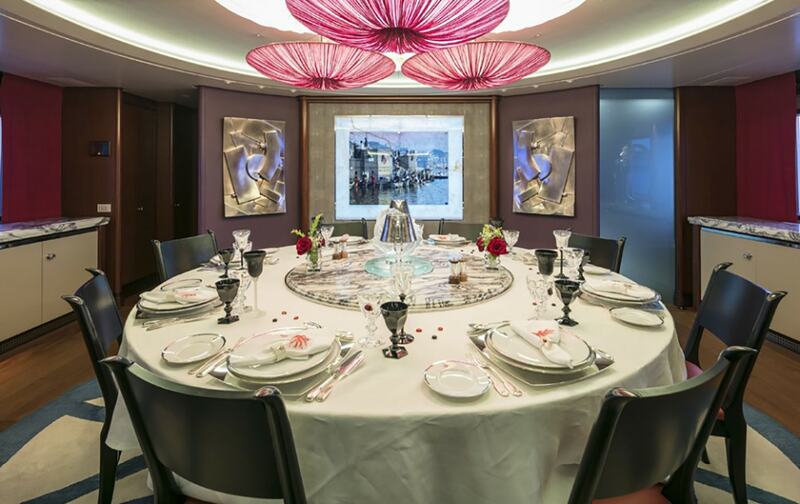 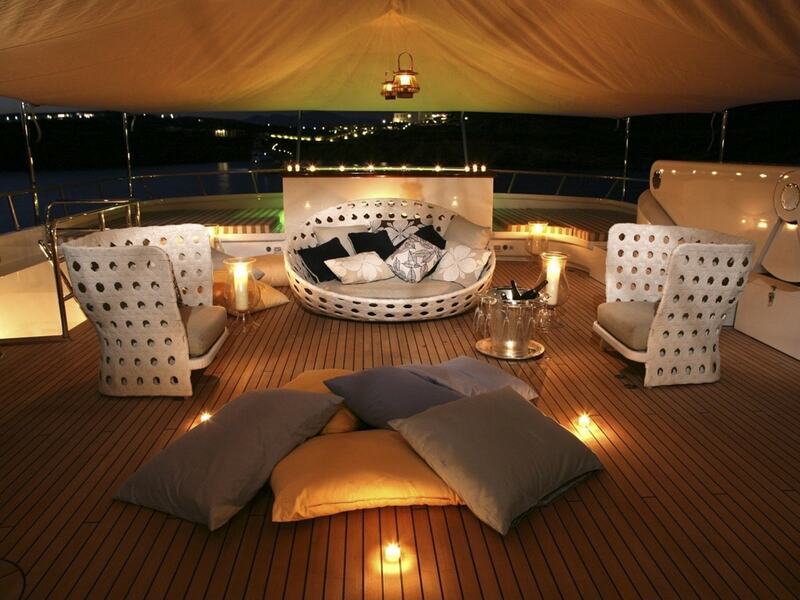 M/Y PEGASUS has a huge outdoor areas. 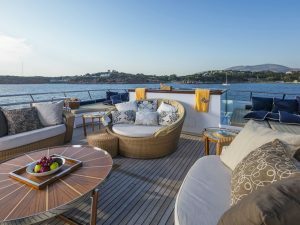 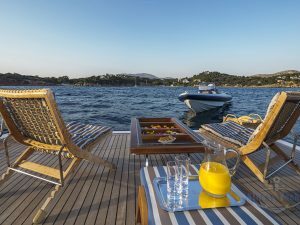 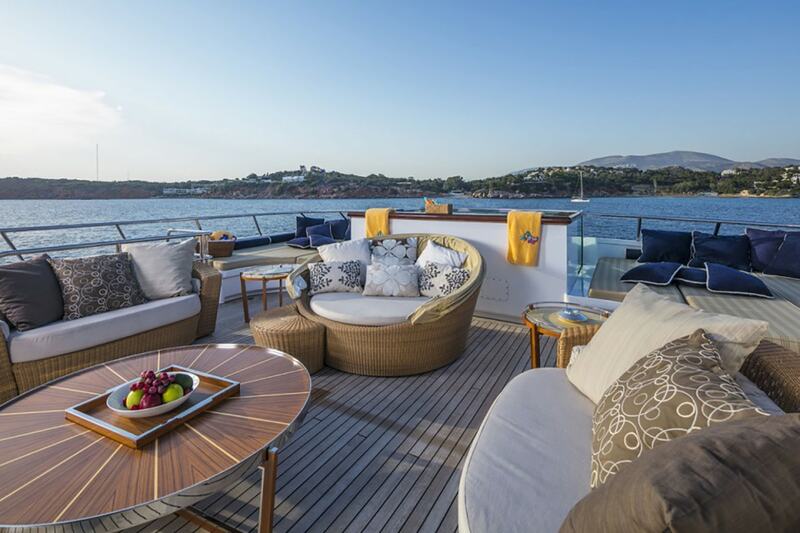 Her guests can enjoy al fresco dining and relaxation on her impressive huge Sun deck with a plunge pool as well as a deck jacuzzi while they enjoy their coctails. 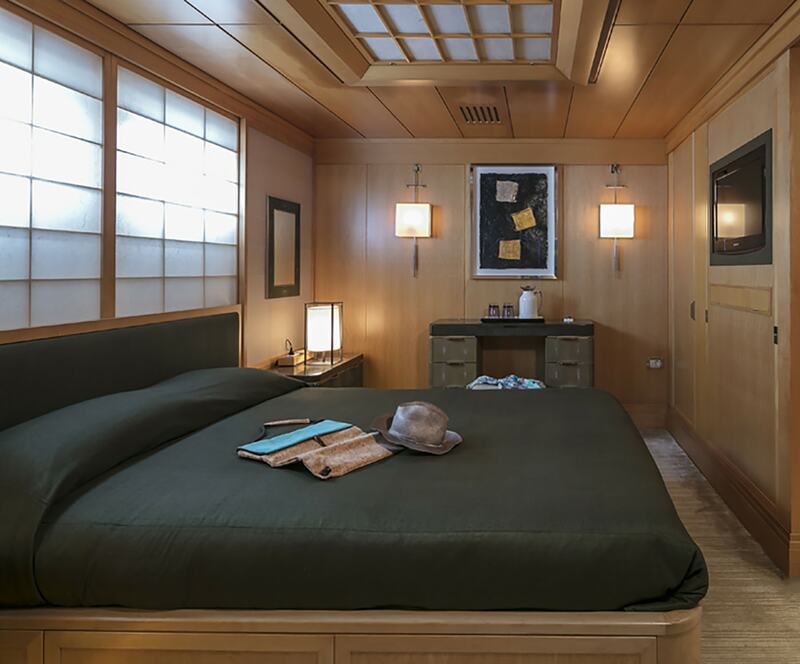 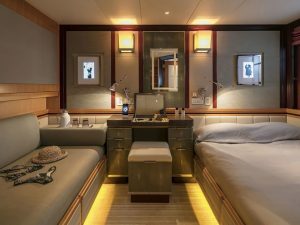 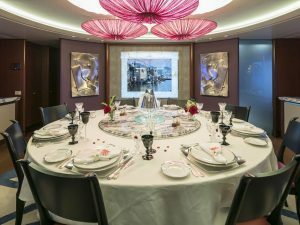 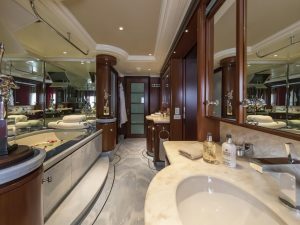 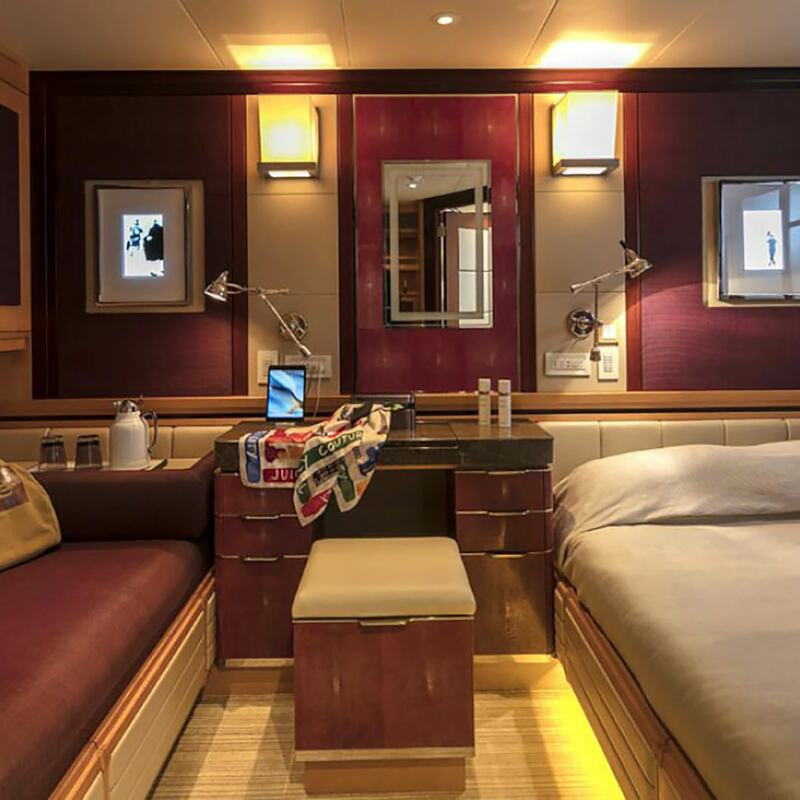 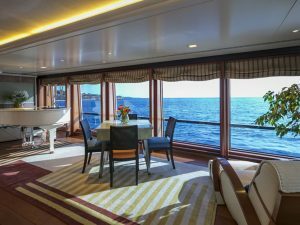 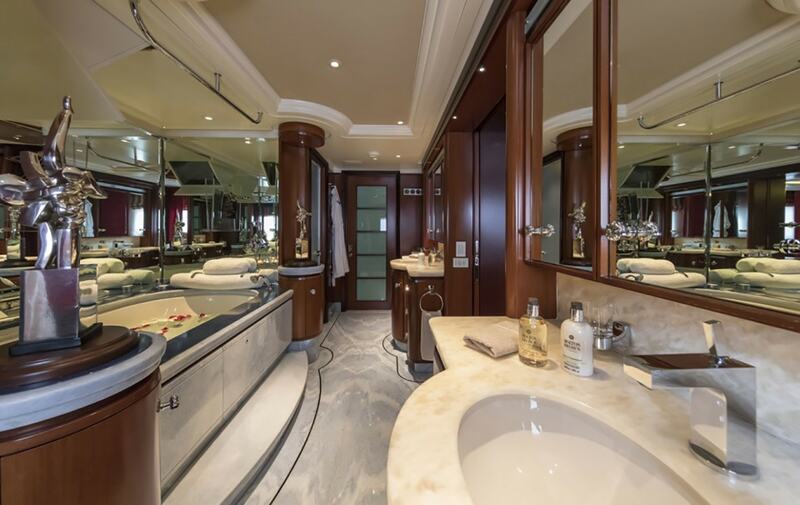 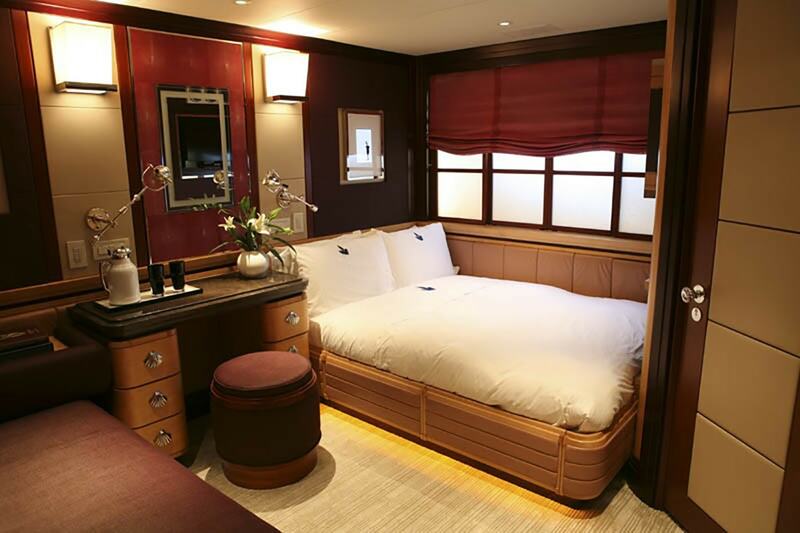 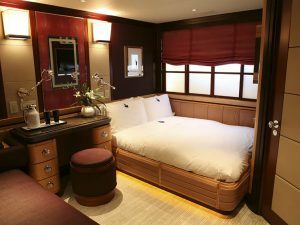 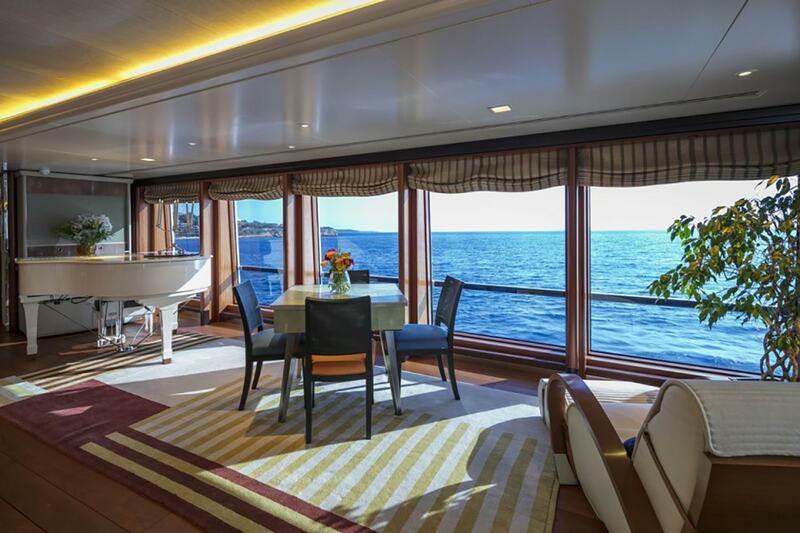 M/Y PEGASUS accommodates up to 12 guests in 6 comfortable staterooms, including a Master suite, 2 VIP cabins and 3 twin cabins each with pullman berth. 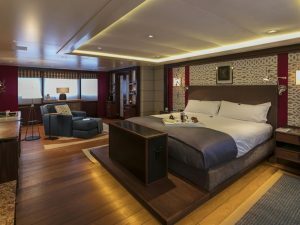 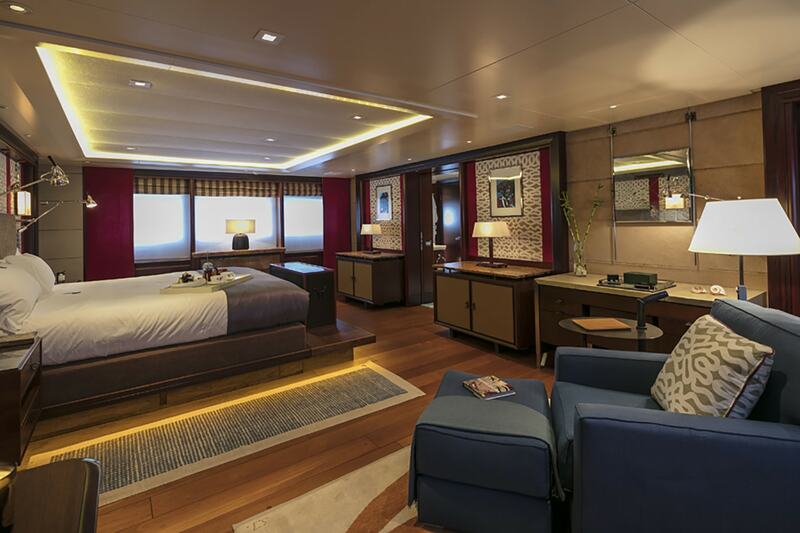 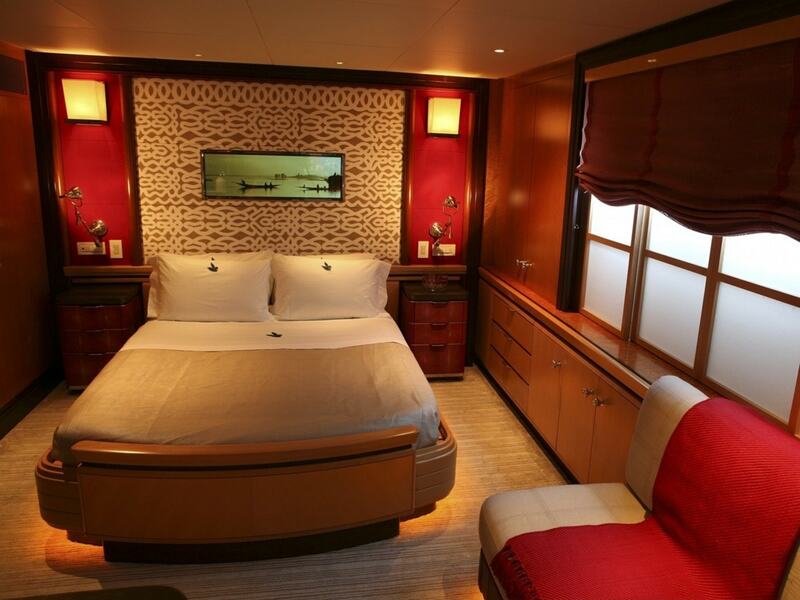 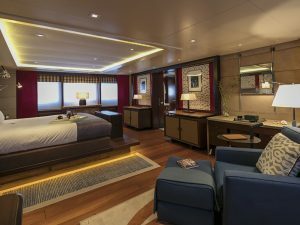 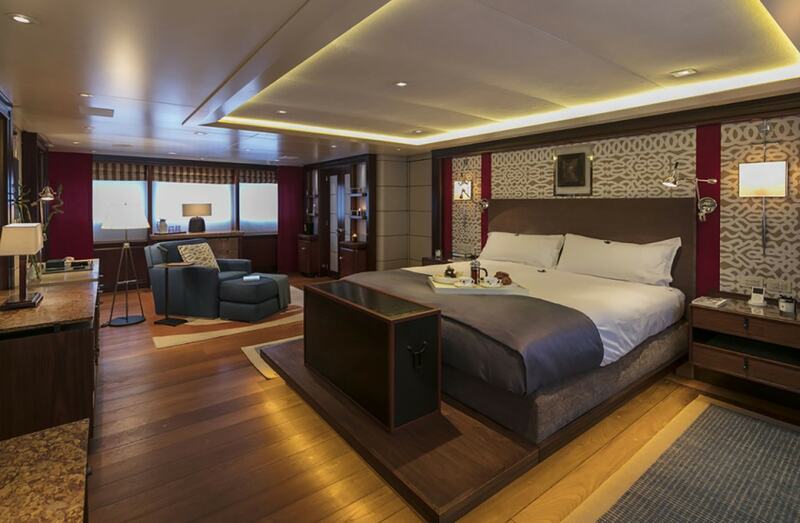 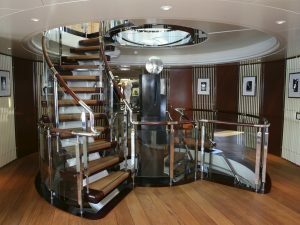 The master suite located on the main deck forward. 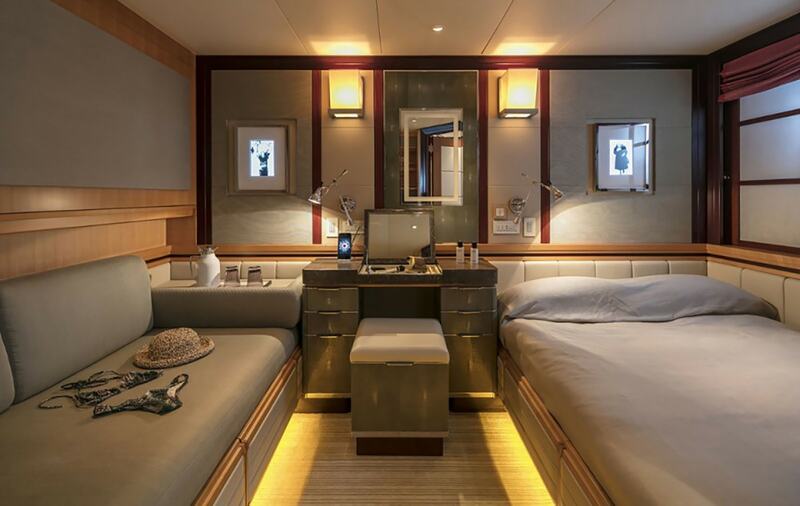 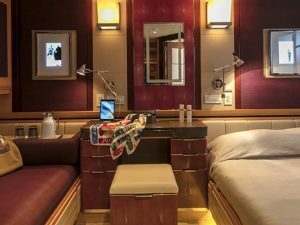 The full beam Master suite includes a study room, a huge marble bathroom, a wardrobe and a connecting room with a sofa/bed. 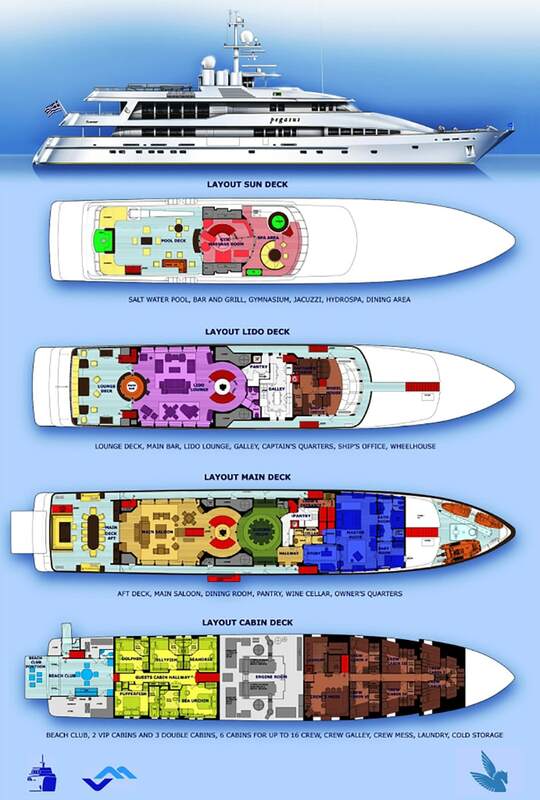 The 5 more cabins are located on the lower deck. 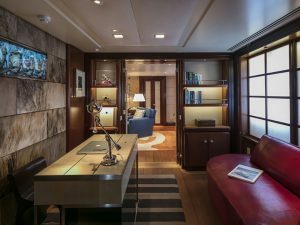 All the guests cabins have their own “character” and feature flat screen TVs where guests can enjoy the kaleidescape – 450 movie-library. 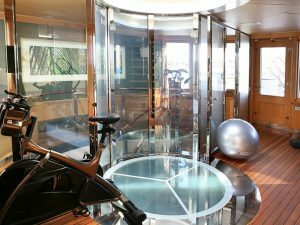 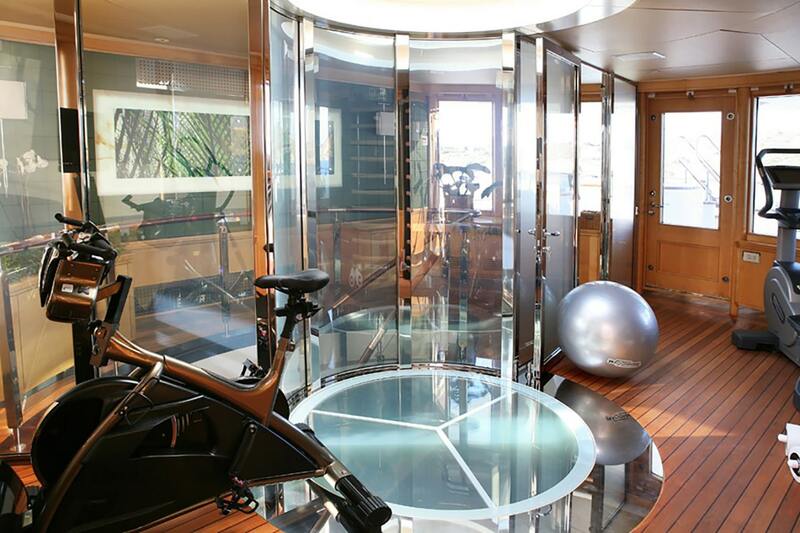 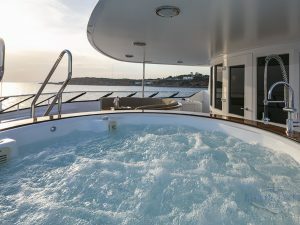 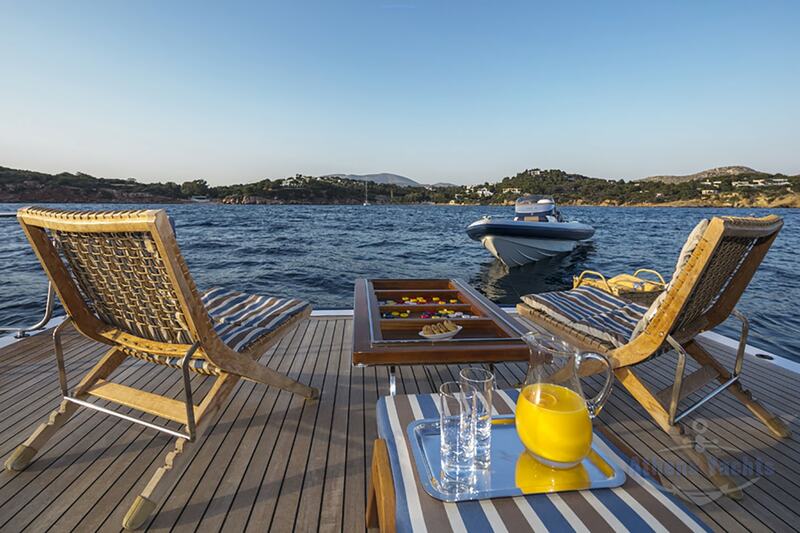 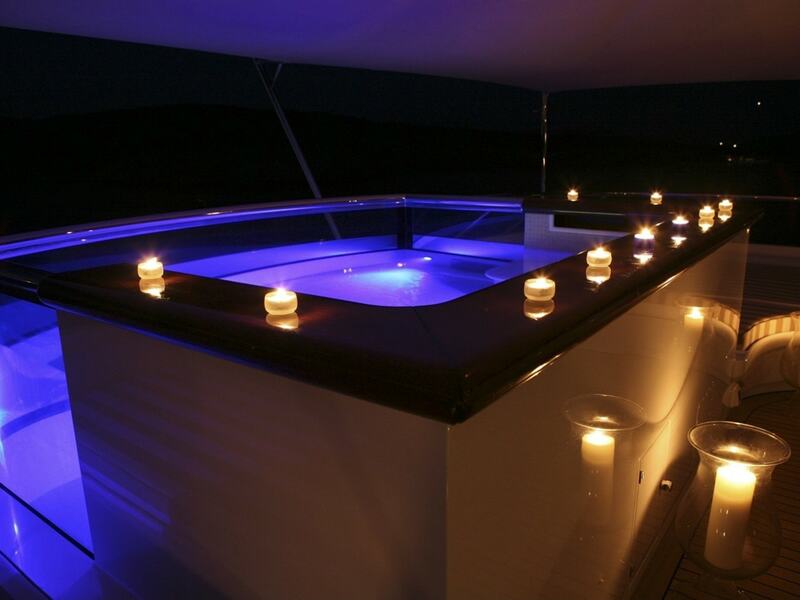 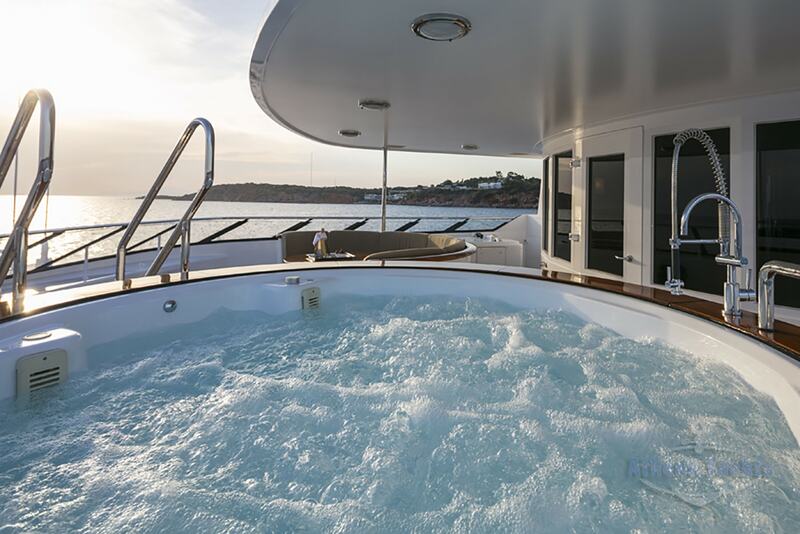 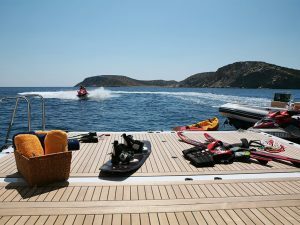 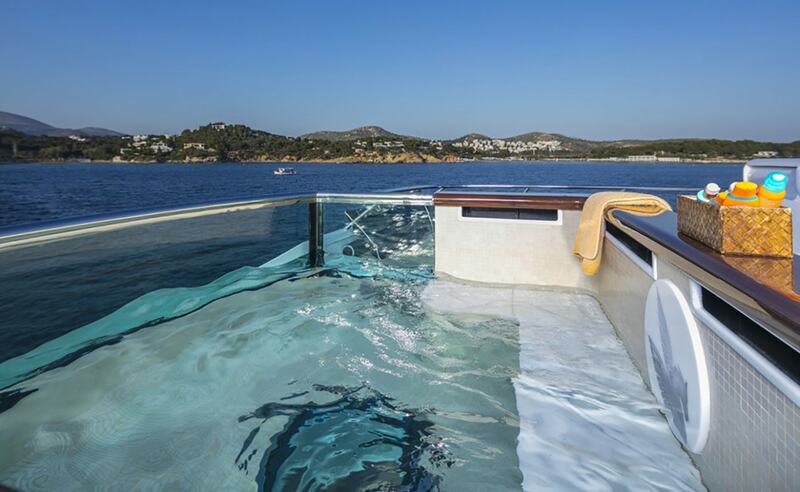 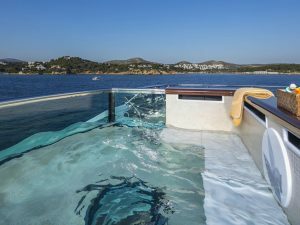 Even more, luxury motor yacht PEGASUS, has an impressive collection of water toys for all to enjoy, as well as easy access to the sea from her spacious swim platform. 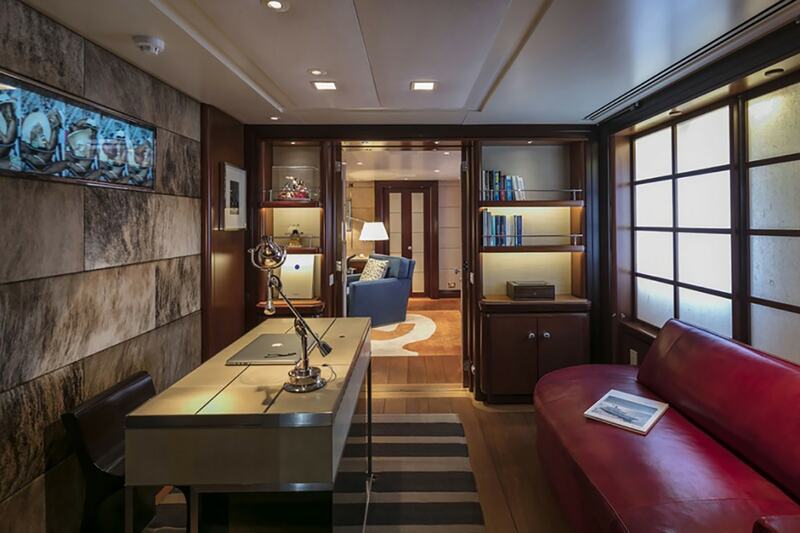 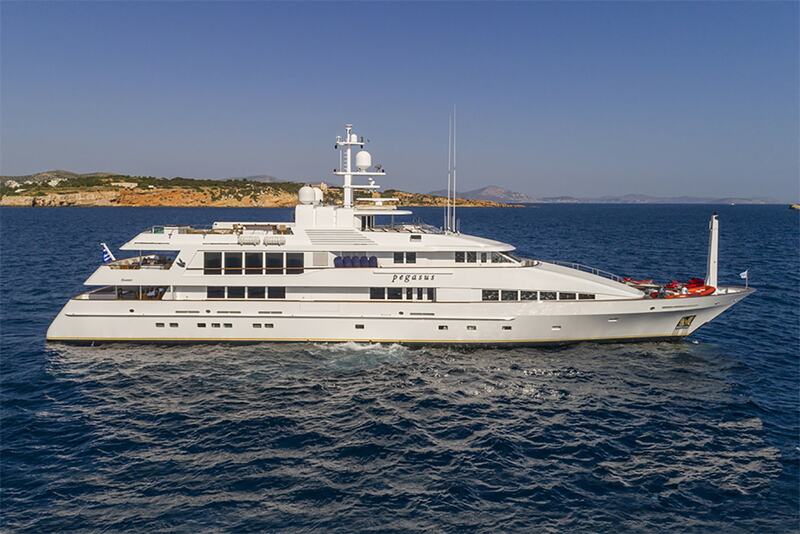 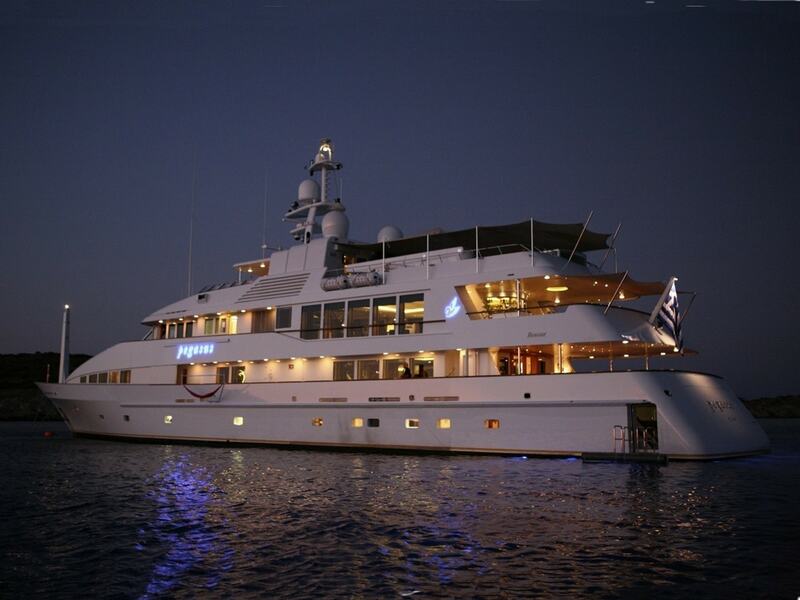 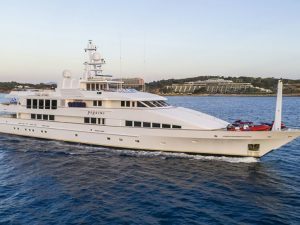 M/Y PEGASUS is built with Steel hull and Aluminium superstructure. 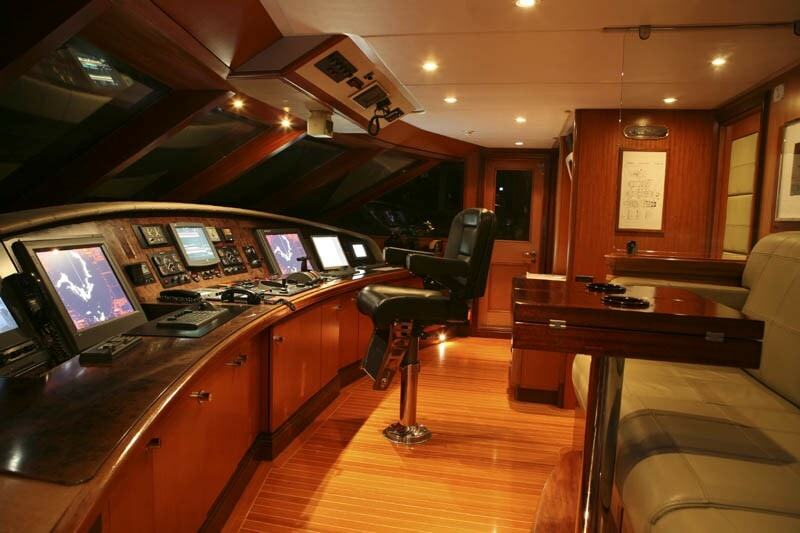 She is capable of a cruising speed 14 knots, a maximum speed of 18 knots, with engines 2 x 2800 BHP CAT. 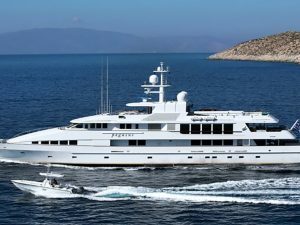 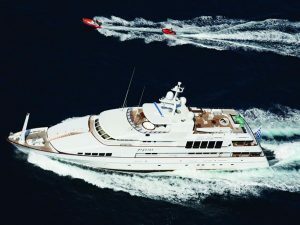 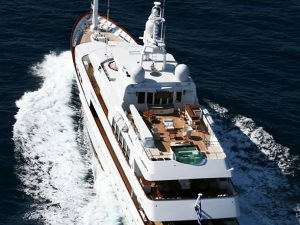 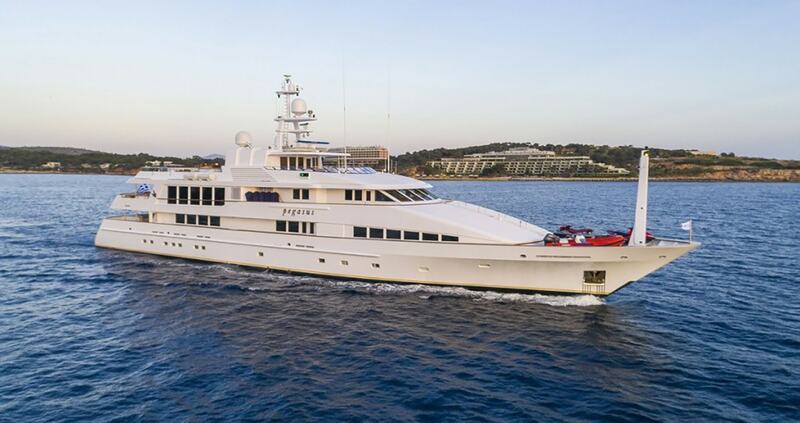 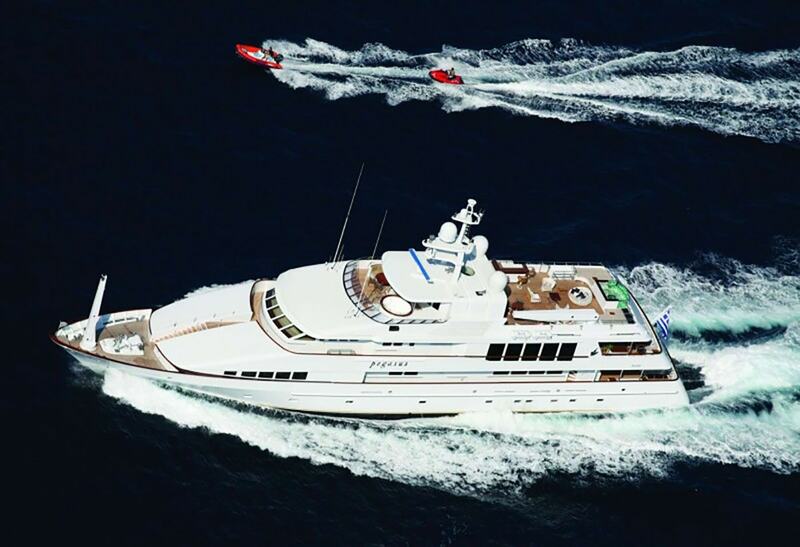 M/Y PEGASUS is the winner of World Superyacht Awards 2010 for the Best Refitted Yacht. 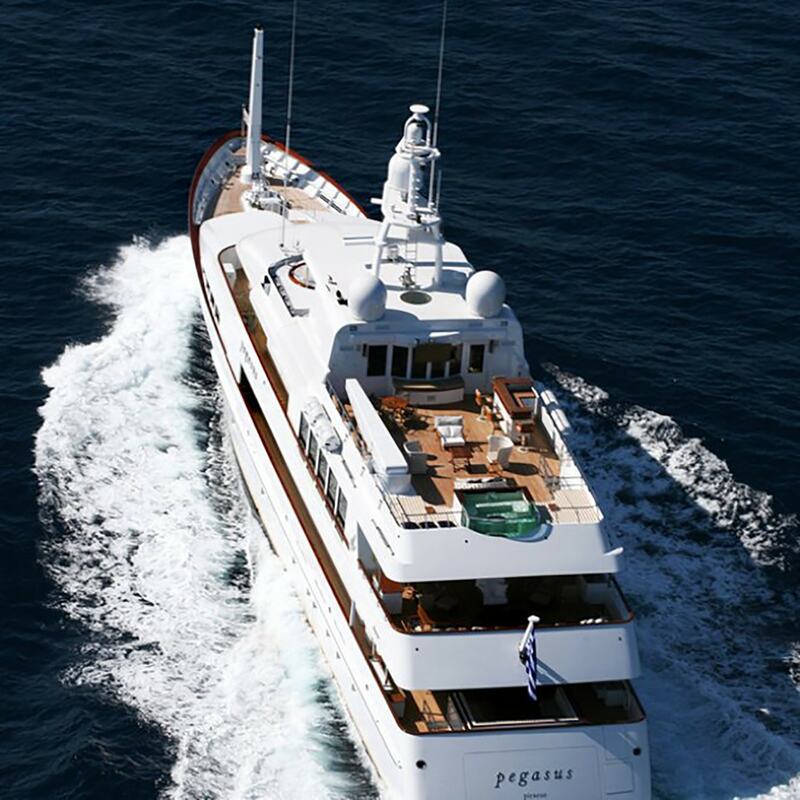 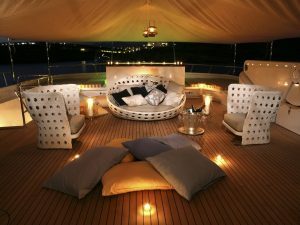 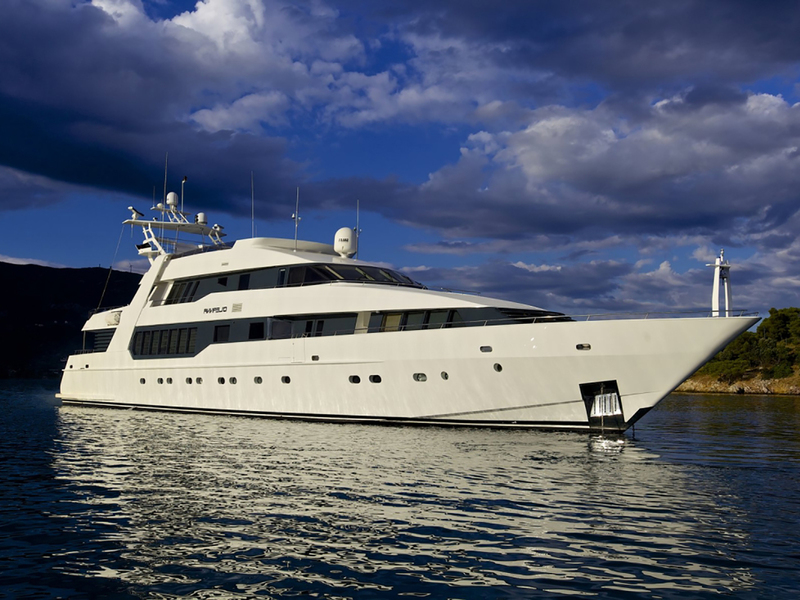 M/Y PEGASUS, is the perfect selection for those who prefered a relaxed and luxurious charter vacations.